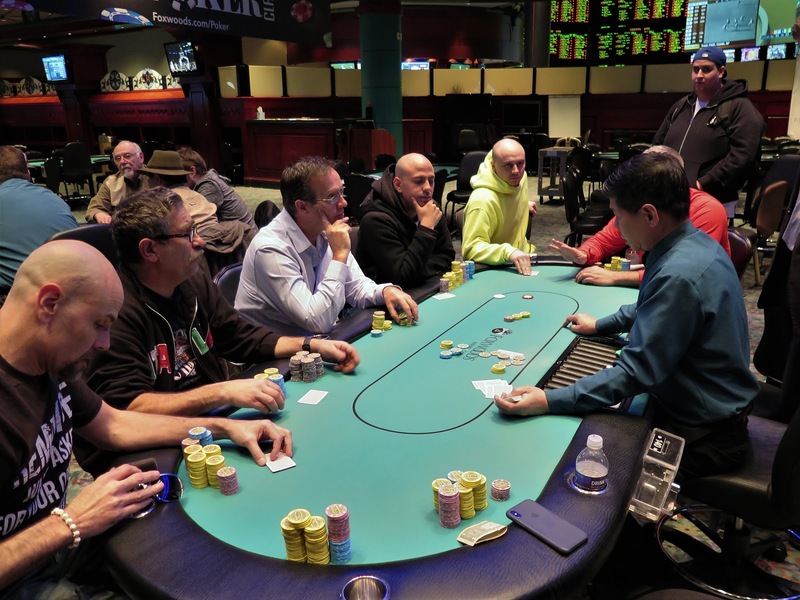 In the final hand of the night, the bubble was burst by Tony Silbert in a massive pot, resulting in Silbert taking the overall chip lead of Flight A. For a full recap of the hand, please see this link. The final 30 players are now bagging up their chips for the night. They will return to play Day 2 on Monday at 11 am. A player moved all in for 10,400 preflop, and was called by five players. All four players checked the K♣7♦3♥ flop. The turn brought the J♠ and Scott Robbins bet 55,000. The other four players folded. The inconsequential river was the 3♠, and Robbins was awarded the pot, while his opponent was eliminated from play. 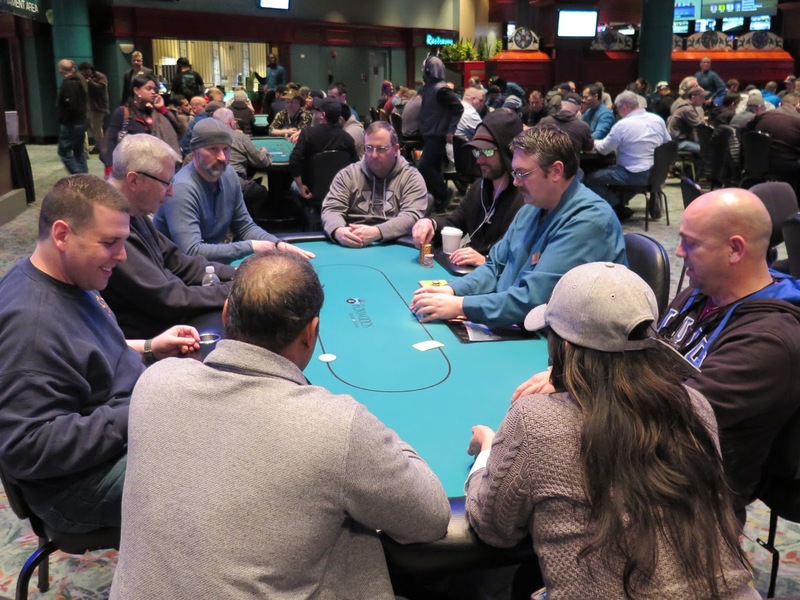 When the field is thinned by just one more player, the remaining 30 players will bag up their chips. The 30 players to advance in this first of three starting flights will return to play Day 2 on Monday at 11 am, all of them in the money. The final table of eight players has been reached, and seven of these players will make the money. For a look at the full prizepool/payout schedule for this event, please see this link.